Now that Spring is here, we are starting to look forward to all the wonderful events and activities which our beautiful county of Suffolk has in store for you as the warmer weather settles in. Chief among them is the Suffolk Walking Festival which runs between Saturday 11th May and Sunday 2nd June! 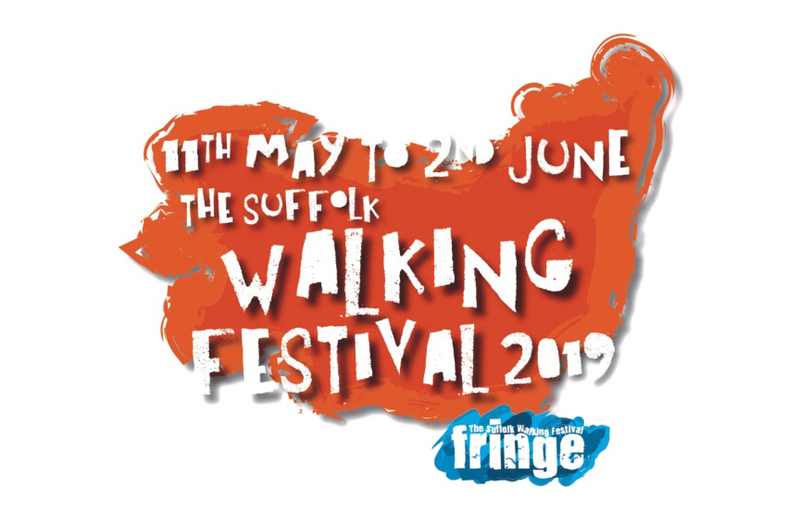 The festival includes history walks, nature walks and short and long walks, spanning the whole county and featuring an amazing variety of different themes – from energizing Dawn Chorus Walks to Twilight Safaris, Nordic Walking to Dog Walks and discovering GeoCaching treasures among many more. This year, the festival organisers are hoping to smash their 2018 record of a whopping 24 million footprints and it’s got us inspired to promote the wonderful scenery and trails that can be found in the areas surrounding our site, especially since the festival launch takes place in the nearby West Stow country park! So, we’ve put together our own list of wonderful walks and terrific trails that you can explore during a stay here at West Stow Pods. This walk starts at the woodland car park in West Stow and follows the paths in and around the Kings forest of West Stow, an achievable 7 miles in total. This time of year, you may be likely to spot some deer, wild flowers and butterflies en route as the forest is beautiful this time of year and worth allowing some time to stop and appreciate the wonderful woodland on display, or even to detour to the nearby (and wonderfully enchanting) Fuller’s Mill Garden which are open to the public until September. The garden offers a chance to get up close to rare shrubs, perennials, lilies and much more thanks to the efforts of a team of dedicated gardeners and volunteers. This one features a more challenging path and terrain (with a maximum elevation of over 100 feet) on this circular route along the Lark Valley path – from West Stow Pods, you can either follow the route to Bury St Edmunds or for a longer trek on to Mildenhall! Start in the country park car park and pick up the well signposted nature trail all the way round. Suitable for dog walkers and even offering a refreshment stop along the way for those who want to break up their walk with an energising coffee or refreshing cold drink. A walk which starts just two miles from our glamping site and boasting the varied and picturesque contrasts that West Stow can reveal to those who look – from viewings of a wide range of wildlife (deer, rare birds – Kingfishers and Goosanders and reptiles), heath and forest, the Anglo-Saxon village and a Nature Reserve. Head off from the starting point near the junction of Ingham Road and West Stow Road and head along the forest tracks around West Stow through the heath and forest to join the Icknield Way path (the oldest road in Britain! ), where you will approach the reconstructed Anglo-Saxon village and the bucolic Lackford Lakes, an extensive landscape comprising lakes, meadows, reeds and woodland which is under the stewardship of Suffolk Wildlife Trust and open all year round. The last stretch showcases the remains of a grand stately home built into the current West Stow Hall, which dates from the 15th-century. This is the whopper at 22 miles (for the 2-day version at least – there is also a longer 79-mile version for walking veterans with serious stamina!). Britain’s Holy Places are all connected by green lanes and public footpaths known as the British pilgrimage which is open to all, with or without religion. We recently had a lovely gent called Guy stay here at West Stow from English Heritage who was doing the walk which takes you from Thetford Priory to Bury St Edmunds. Aside from the medieval monastery, the walk visits four beautiful Suffolk churches, the reconstructed 5th -7th century Anglo-Saxon village and finishes at Bury St Edmunds cathedral with its ruined Abbey, offering a beautiful and fascinating journey to recharge your batteries, ponder and reflect. If all that is not enough to give you some inspiration to dust off your walking boots, pack a thermos in a rucksack and head out to discover the beautiful countryside in this part of the world, then check out our Things To Do page which offers more walks, strolls and rambles. If you’re planning to visit Suffolk during the walking festival and enjoy one of the brilliant events they have planned, don’t forget the lovely accommodation which we have here at West Stow Pods that will give you a peaceful stay and rewarding, relaxing night’s sleep after being out on your feet burning those calories. If you are planning to book though – but don’t hang about as we can get very busy during the festival. Win a stay for you and your dog at West Stow Pods! Treat your Mum this Mother’s Day with 15% off stays! 5 reasons a stay at West Stow Pods can improve your health!